Customize the Ribbon UI of your SharePoint and Office 365 solutions. 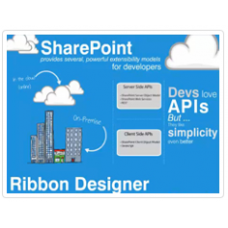 Ribbon Designer for Microsoft SharePoint and Office 365 lets you create custom ribbons for SharePoint and Office 365 solutions without learning the Ribbon XML schema. 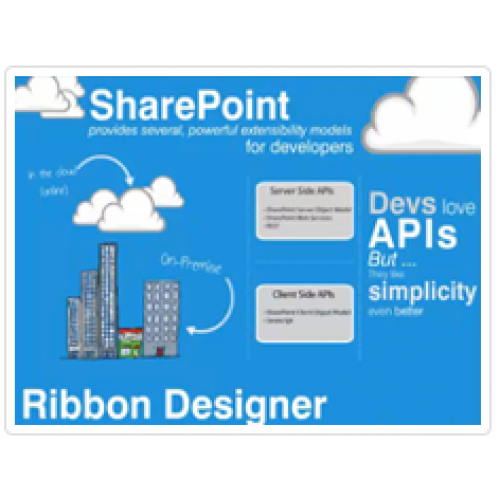 Using the Ribbon Designer you can build custom SharePoint Ribbons and add new Ribbons to your existing projects. The components are fully integrated into Visual Studio and they simplify the creation of Ribbons whether you develop for SharePoint or Office 365. Sandboxed solutions for all plans of Microsoft Office 365 starting from plan P to E4 are supported. So, no matter what kind of solutions you develop, internal-use prototypes or worldwide distributed Office 365 applications - the Ribbon Designer is a comprehensive tool for you.